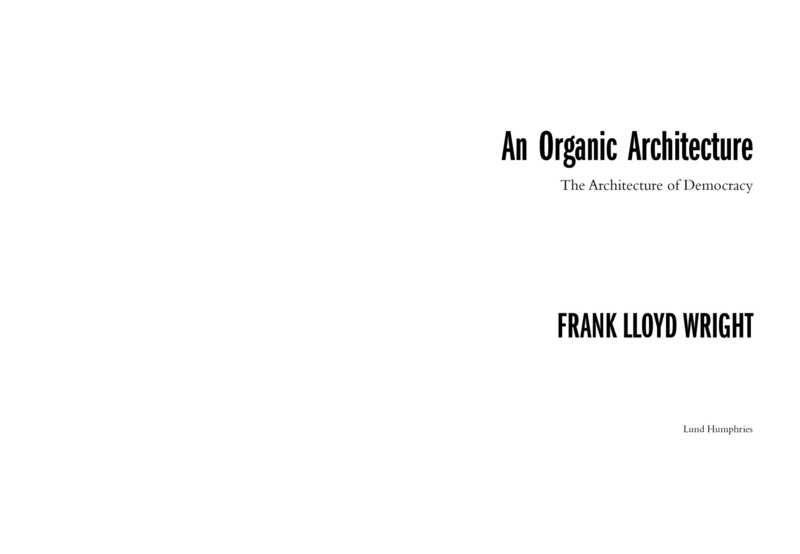 In May 1939, the celebrated American architect Frank Lloyd Wright visited London and gave four lectures at the Royal Institute of British Architects. 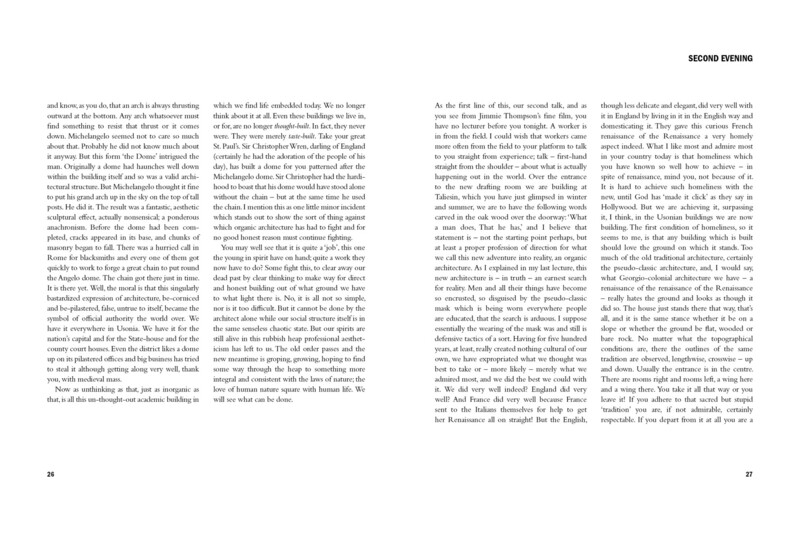 The meetings were hailed at the time as the most remarkable events of recent architectural affairs in England, and the lectures were published as An Organic Architecture in September 1939 by Lund Humphries. 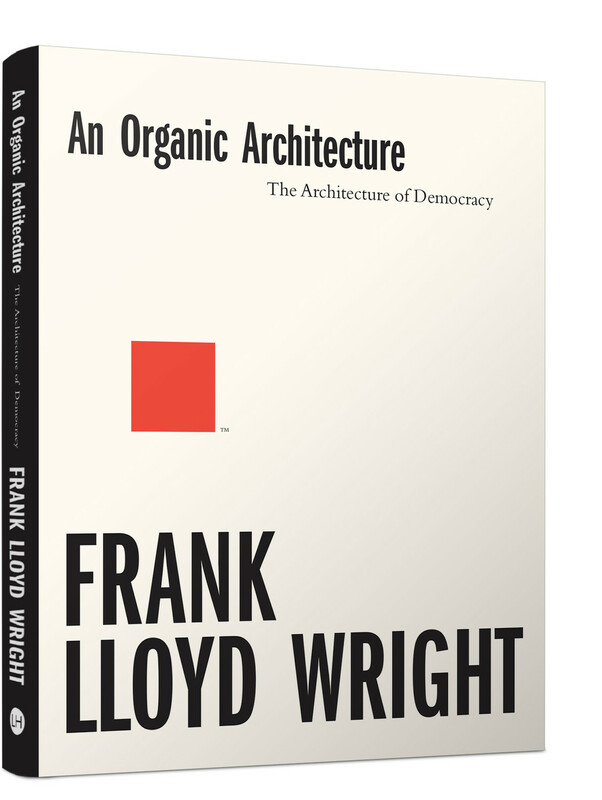 The texts remain an important expression of the architect’s core philosophy and are being reissued now in a new edition to commemorate the 150th anniversary in 2017 of Frank Lloyd Wright’s birth. 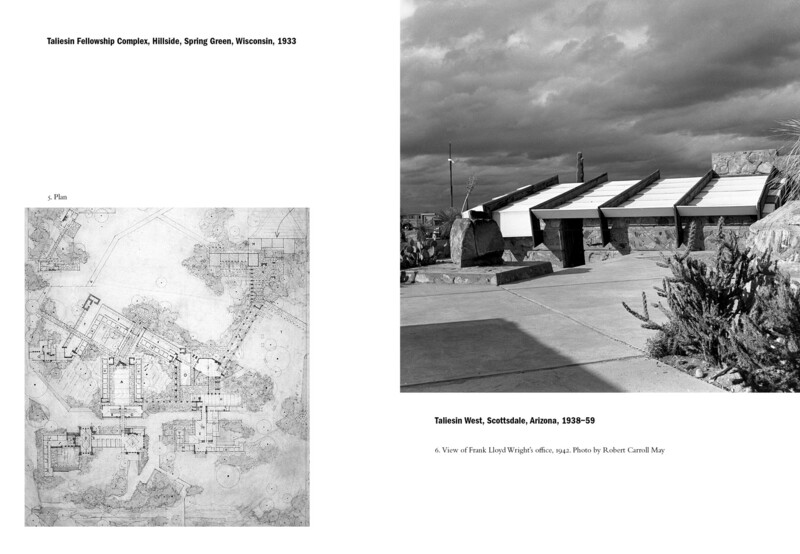 In the lectures, Frank Lloyd Wright discusses several of his recent projects, including his Usonian houses, his homes and studios at Taliesin, Wisconsin and Arizona, Fallingwater and the Johnson administration building. His charismatic, flamboyant character and hugely creative intelligence leap to life from the pages as he looks to the ‘Future’, both in terms of the then-imminent Second World War and his vision for cities. This new edition includes an insightful new essay by esteemed architectural historian, Professor Andrew Saint, which sets the lectures within context and highlights their continued resonance and appeal.